Block spam regardless of the language, content, or format of the message with spamBlocker. Best in the industry at distinguishing legitimate communication from spam outbreaks in real time it blocks close to 100% of unwanted emails and the viruses they carry. 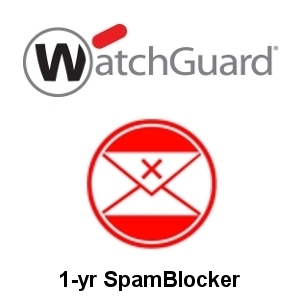 Renew your existing subscription or extend your protection with spamBlocker for one year. spamBlocker is also included in the Basic and Total Security Suites for the Firebox T55.